The Level 2 online course is a 5-week program. 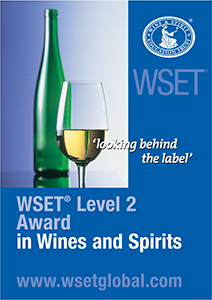 An online tutor guides the WSET online classroom. Weekly topic can be viewed by logging into the online classroom anytime during the week (there are set start and finish dates for each week, but no set class time). At home, tasting activities are also provided to familiarize students with a systemic approach to tasting at an intermediate level. When the course is over, students arrange with American Wine School to take the exam in person at an American Wine School location.